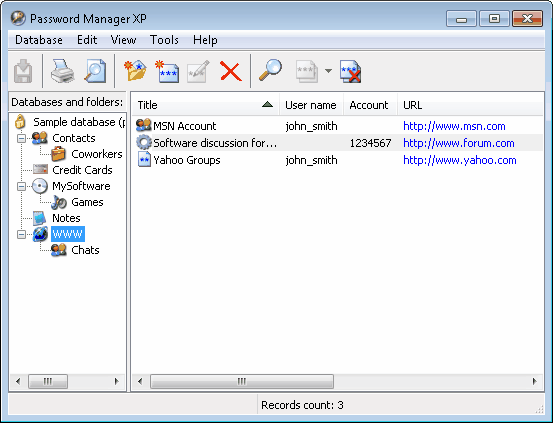 Password Manager XP will help you protect any secret information that is stored on your PC. 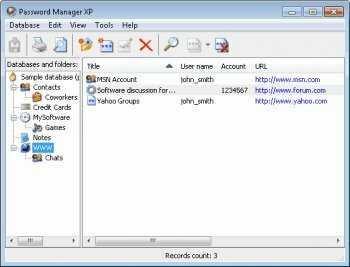 This tool is a passwords and secrets keeper. You will forget all your headaches about losses of passwords, access codes, bank accounts, and other important information. No more "I forgot my password!" and "Can't remember my account code!"